The chief inspector of hospitals has told Manchester Mental Health and Social Care Trustthat it must do better following a watchdog inspection. Overall the trust has been rated as requiring improvement by the Care Quality Commission. A report highlights safety issues, the need for better leadership, and low morale among staff. The trust provides mental health services, substance misuse, perinatal, and prison healthcare support services to adults across Manchester. A number of community health services are also run by the trust. The CQC inspection in March found the trust provided services that were rated as good for caring, but requires improvement for providing services that were safe, effective, responsive and well led. Inspectors found community mental health services for older people were good. Every service was found to be caring, with staff at all levels committed to providing good patient care. Staff treated people with kindness, dignity and compassion and the feedback received from patients was generally positive. There were enough staff on duty to keep people safe and patients’ needs were assessed and care planned appropriately. However, inspectors were concerned about the safety on the trust’s assessment unit for people receiving crisis care, as risk assessments did not include some fixtures and fittings that could be used as ligature points by patients who were at risk of suicide. One of the trust’s rehabilitation wards at Park House did not ensure patient’s dignity because long-term patients were being cared for in dormitory style bedrooms. Inspectors also found that the trust wasn’t managing patients effectively through the mental health system as people did not always receive care and treatment from the most appropriate team. Dr Paul Lelliott, CQC’s deputy chief inspector of hospitals, said: “We have found considerable variation in the quality of the services provided by Manchester Mental Health and Social Care Trust. “While staff were working hard across the trust to provide compassionate care and support to patients, the use of overly restrictive practices on the trust’s acute wards and the psychiatric intensive care unit was a concern. 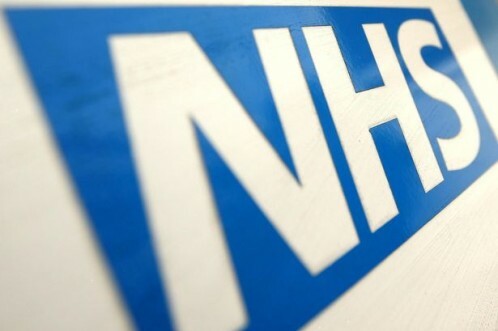 Manchester Mental Health and and Social Care Trust has admitted ‘work needs to be done’ to improve its services. Chief executive Michele Moran said: “The inspectors recognise the compassion and caring nature of Trust staff, which is so pleasing to see. “The Trust can be proud of being rated ‘good’ for caring across all six areas where we were inspected. I know that this is important to our service users and I’d like to reassure them that the areas that require improvement are being addressed and continue to be through our detailed action plan. “The report also highlights how most service users felt involved in their care. Staff should rightly be proud of these acknowledgments. “However, we recognise the areas that need to be improved upon. The Board, the staff, and I are determined to address these in line with our quality improvement journey.